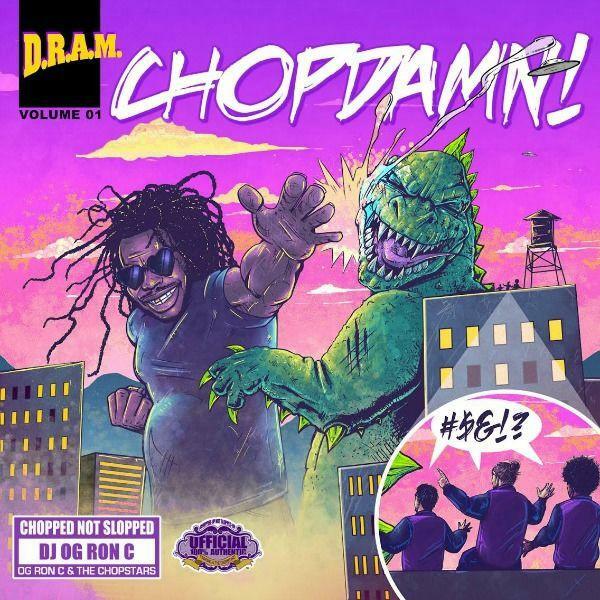 Home>New Mixtapes>DRAM Mixtapes> DRAM & OG Ron C - ChopDamn! We recently heard ASAP Rocky's new album ALLA get chopped up by OG Ron C and his team, and now they've don the same to D.R.A.M. 's "GAHDAMN!" EP. The Virginia singer's voice becomes even bassier in its new form, making for a very hypnotic and satisfying sound, as tracks like "$," "Caretaker," are transformed into syrup-y slow-burners. Let us know what you think of the new versions of the songs in the comments below, and look out for big things from D.R.A.M. in 2016, which should see the release of his debut album. MIXTAPES DRAM & OG Ron C - ChopDamn!